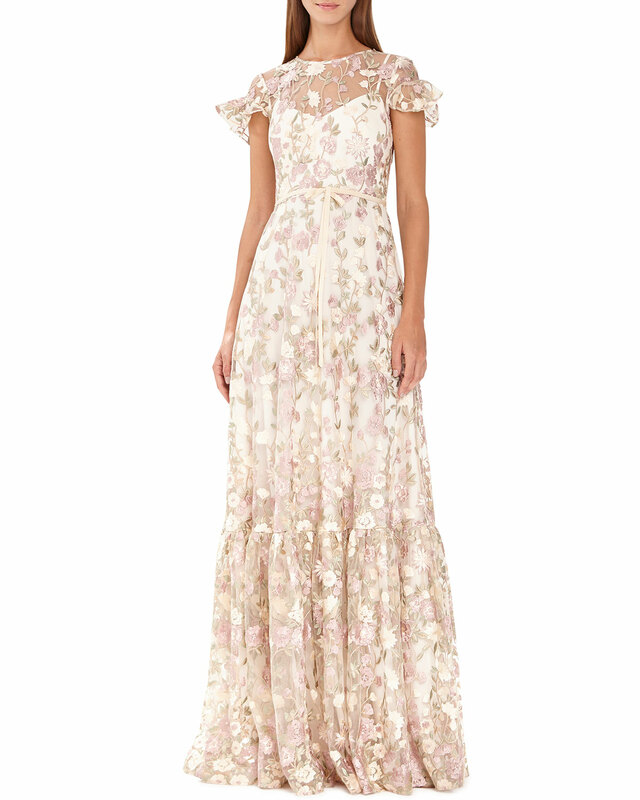 As you can see, this blush pink maxi dress from our ModCloth namesake label is resplendent with an ornate motif of pearl-finished sequins and shimmering silver beads. What you may not see is the comfortable stretch provided by the knit underlay of this gorgeous gown – a detail you’ll appreciate, as other relish in the stunning look of such unparalleled formalwear. 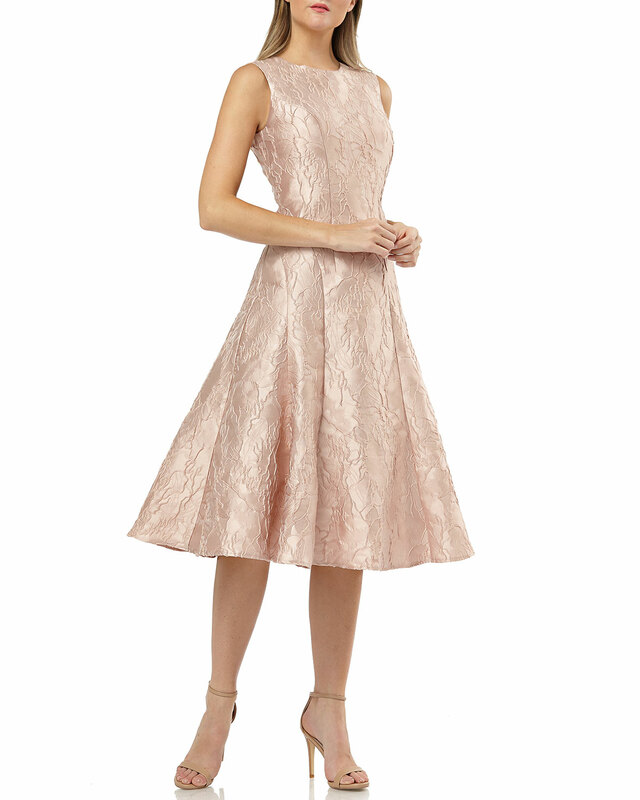 The Lulus Elegant Encounter Rose Gold Sequin Maxi Dress was made for fairy tale endings! A sleeveless sequin bodice with no-slip strips, and plunging V-neckline, is met by a fitted waist, and full woven maxi skirt, in a peach hue. Hidden back zipper/clasp. La Femme combo gown with satin skirt. Carmen Marc Valvo Infusion brocade cocktail dress. Make reservations for you and your beau, and enjoy a night out in the Lulus Glamorous Gala Blush Pink Embroidered Maxi Dress! Lightly textured woven fabric is formed to adjustable spaghetti straps (that cross at back), and a princess-seamed bodice with gold beads and embroidery. Fitted waist tops the Georgette maxi skirt with accordion pleats. Hidden back zipper/clasp. 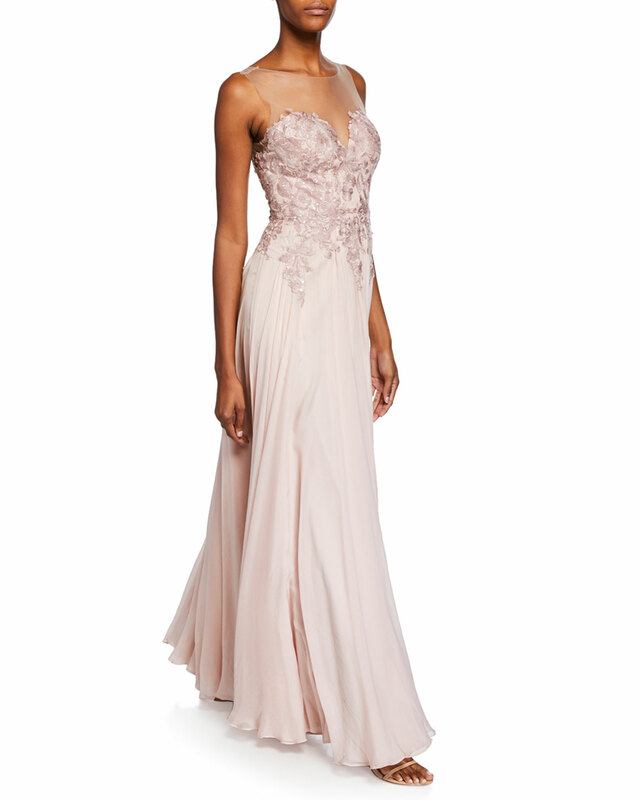 Catherine Deane “Misha” silk chiffon gown with applique bodice and invisible tulle neckline. Bateau neckline; sweetheart illusion; V-shaped back.